The Fort Lauderdale Real Estate market has certainly received a great deal of media attention over the last few years. As we see inventory start to decrease and we enter a new Fort Lauderdale Real Estate market , a more balanced one, some of the classic Fort Lauderdale Condos represent a great buying opportunity. Read more about Sunrise Tower and see why this stable Fort Lauderdale Condominium may be just the right place for you to visit when you are looking at Condos for Sale in Ft. Lauderdale. 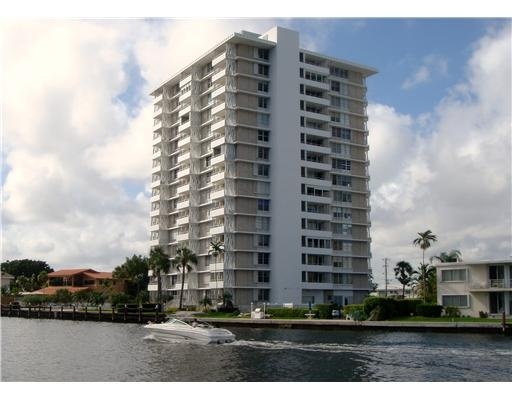 Directly on the intracoastal Sunrise Tower is truely an example of a property where location is key. A short distance from the Galleria Mall, and all the fine restaurants it is home to, and a short distance to Fort Lauderdale Beach make Sunrise Tower a great Fort Lauderdale Condominium. Ocean, and Intracoastal views, as well as view of the Bonnet House Estate make this properties location something to see. A constant boat parade and yet seconds to nightlife, shopping and the beach. This smaller building of only 101 Fort Lauderdale Condos features some of the larger one bedroom units in town. At todays incredible prices if you are looking for a getaway in Fort Lauderdale Real Estate, Sunrise Tower may be just the place. At Eric Miller and Associates, "We're here to help" with your next Sunrise Tower purchase or sale. Contact us directly at (954) 383-8170.